Disability applicants are required to pass through a five-step evaluation process that the Social Security Administration (SSA) uses to ascertain if applicants qualify as “disabled” and are entitled to disability income from the social security fund.The SSA is responsible for administering social security insurance income to people when they retire and disability benefits to people who qualify under the five-step evaluation. By familiarizing themselves with the SSA evaluation process and consulting with Social Security attorneys in Chicago, disabled victims may be able to increase their chances of qualifying to receive SSDI benefits. Social security disability insurance pays benefits to qualify disabled victims and their families.These disability payments are an outgrow from the original Social Security Act which was designed to prevent retirees from falling into poverty when they could no longer work. Social security and disability are the two pillars of the “social safety net” that keeps people from becoming homeless because they are unable to work. There is substantial fraud in the program due to its vast size (hundreds of billions a year), and to combat this, the SSA requires applicants to pass a five-step evaluation process. Additionally, the SSA retains an in-house investigatory team to investigate fraud and refer cases for prosecution to the Department of Justice. SSA’s five-step process is referred to as “Sequential Evaluation.” Each applicant must pass through the process to obtain disability benefits through the SSA. 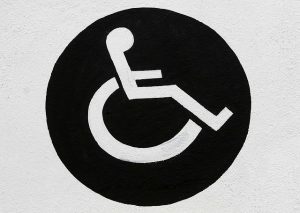 If a claimant is determined at any step to be ineligible, or not disabled, he or she does not continue through the process. The SSA defines disability as the inability to engage in a substantial gainful activity (work) due to medically determinable mental or physical impairments which are expected to result in death or for at least one full year. Disabilities that are expected to last less than one year are often covered by workers’ compensation and some state disability programs. To qualify for SSDI benefits a disabled victim must be cannot perform a substantial gainful activity at any job. Benefits are not paid for partial disability (e.g. police officer is injured and relegated to “desk” duty or construction worker unable to lift heavy objects but can sit and type). Substantial gainful activity (SGA) is a threshold income analysis test. If a person earns less than $1170 (or $1950 for people who are blind) per month, he is considered disabled and eligible to continue through the program. As long as they stay below the SGA threshold, people can earn nominal income and still be eligible to receive disability. Step Two: Is the Mental or Physical Condition Severe? Mental activities include the ability to understand and carry out tasks, remember instructions, make judgments, respond to supervision and work-related situations, and deal with changes to the work routine. Most jobs involve a combination of physical and mental activities. Additionally, the disability must be medically determinable. Current regulations require that objective medical evidence be submitted by a qualifying medical source to establish the existence of a medically determinable impairment. Finally, it must pass the one-year rule, meaning that the disability must be long-term or permanent. If either one of these assessments is not met, then the individual is not disabled and is ineligible for benefits. The SSA maintains its own “Listing” of impairments and their severity. An applicant’s impairments, which are defined in step two, must also meet one of the Listings in the SSA. If an applicant does not meet one of the Listings, then the evaluator may determine that a person is not eligible however, it is not an automatic disqualification. The Listing defines a range of mental and physical impairments and their subparts. A person’s residual function capacity (“RFC”) is his or her maximum capacity for performing full-time work on a regular basis (eight hours a day, five days a week) taking into account the victim’s impairments. The RFC is used to evaluate steps four and five. Step four ascertains if the claimant is unable to perform his previous work, as determined by his RFC, age, experience, education, and other factors. Step Five determines if that same person is cannot perform any Substantial Gainful Activity (as defined in Step one) due to the same factors and that person’s RFC. If the SSA determines that no previous or alternative SGA can be performed, then that person is eligible to receive disability benefits.